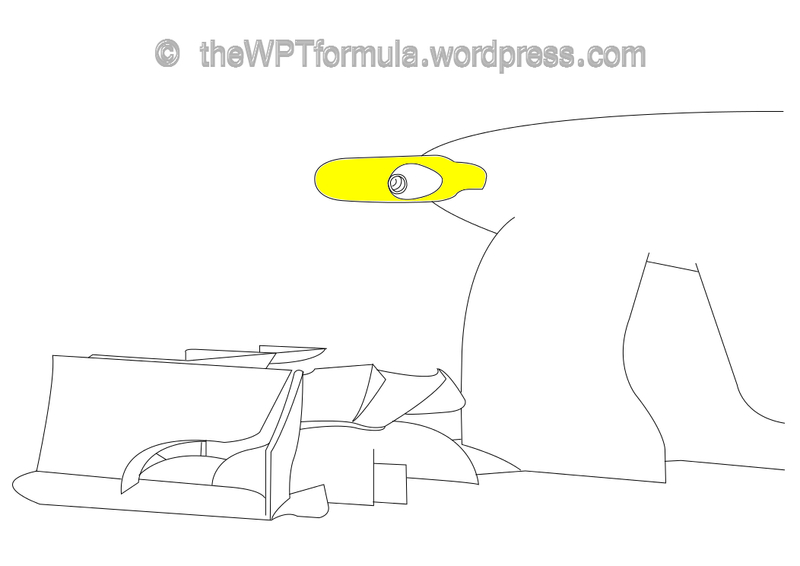 If the Buddh International Circuit were a person, he/she would be quite a fickle character. 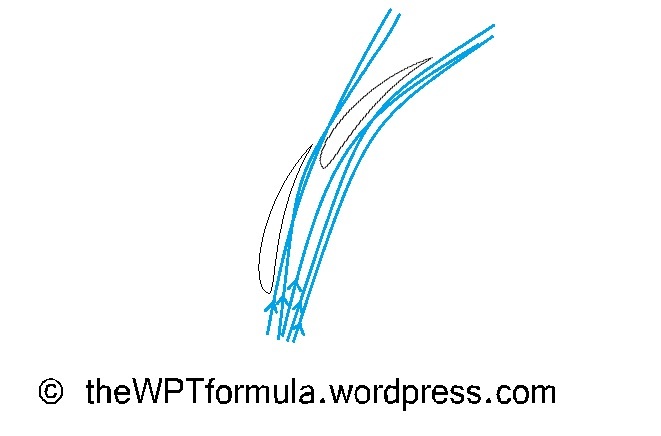 Demanding strong downforce and good straightline speed, this is one of the ultimate tests for a Formula 1 car. Watching the cars on track is always interesting in India as it shows a lot about the level of performance of each piece of machinery. 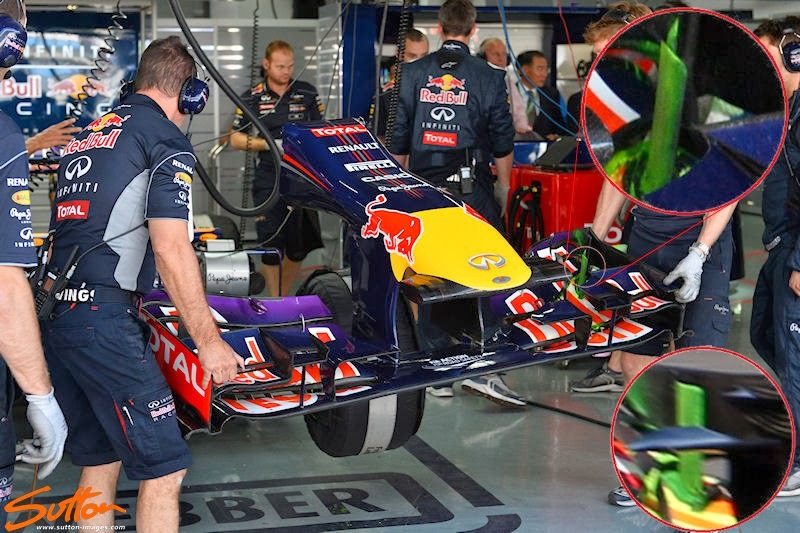 The Red Bull RB9 in particular looks incredible, changing direction almost effortlessly compared to the lethargic nature of some of the lower teams’ cars. 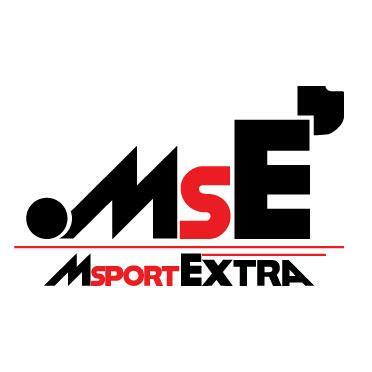 Once again we were faced with a lack of any major modifications to the cars for this weekend although there were yet more detail adjustments still being introduced at this late stage of the season and of the current regulations. Since the 2012 tyre constructions were reintroduced before the summer break, Sauber have been on the up. 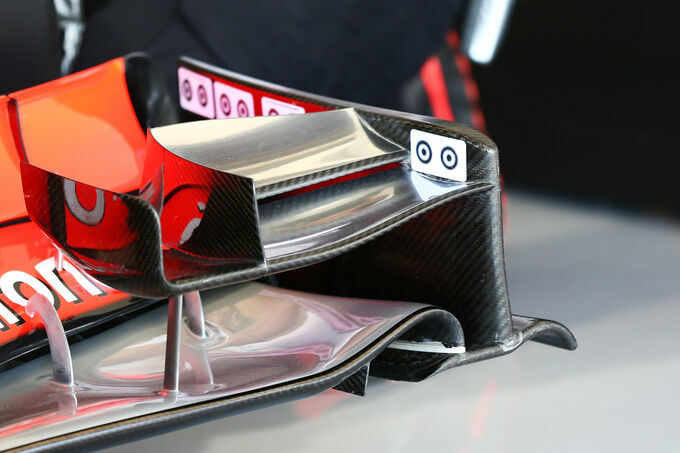 Continuing to put developments on the car to further enhance the potential of its C32 deserves full credit and they may yet be rewarded by overtaking Force India in the Constructors’ fight. 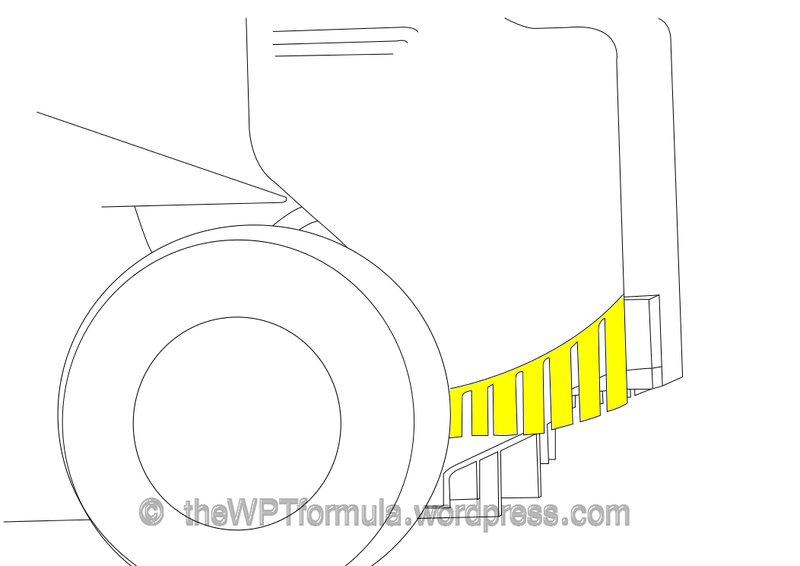 These lower brake duct flick-ups are very similar to that on the Ferrari F138 and replace the slightly straighter version seen previously. 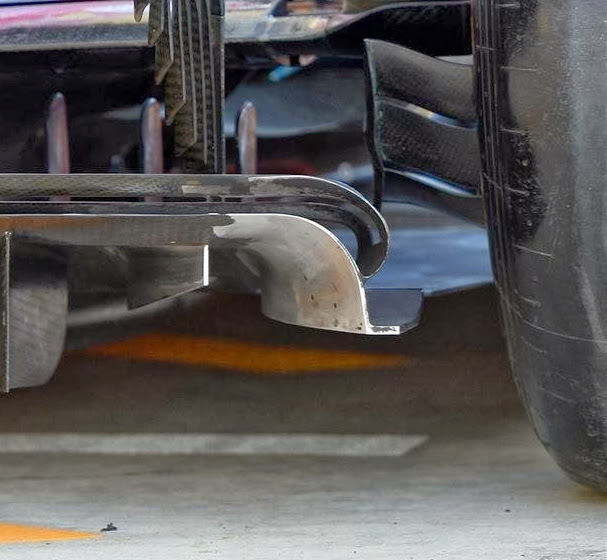 These produce local downforce directly to the rear wheel and also help extract performance from the diffuser, interacting with the outer wall and footplate of the latter component. 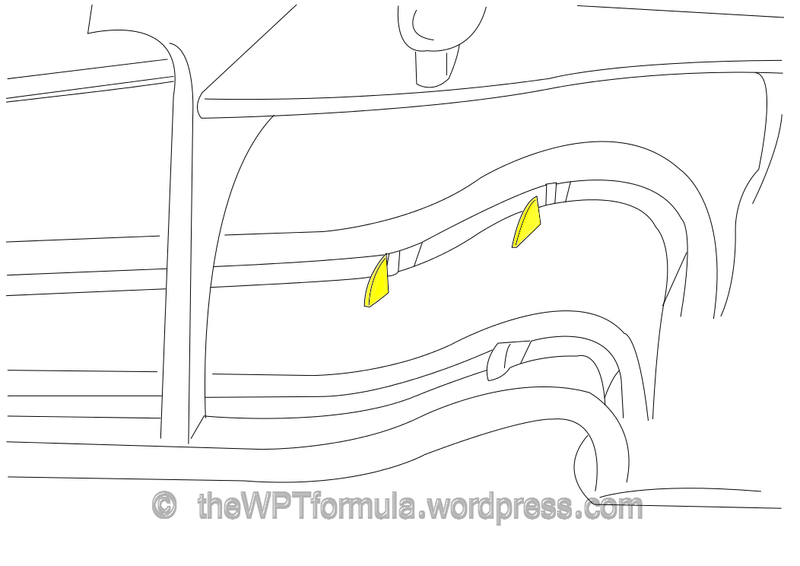 The previous lower duct flick-ups were composed of four smaller elements compared to this new component that features three. 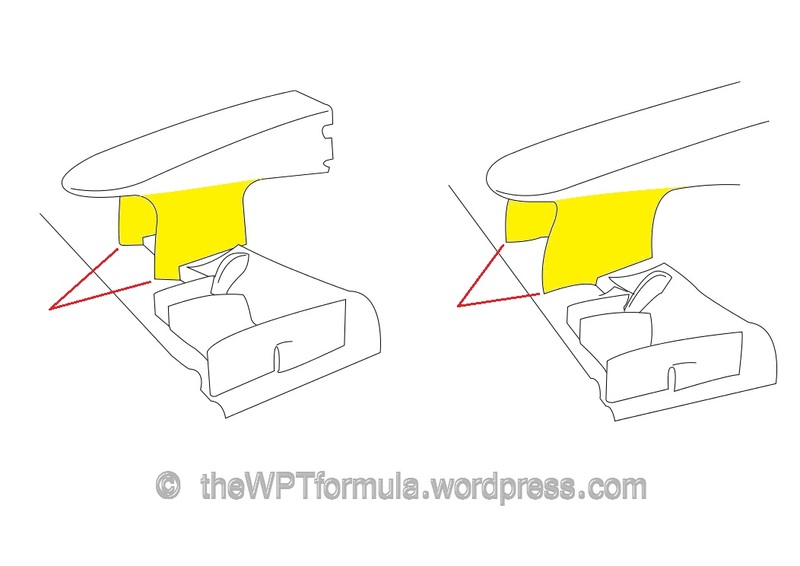 The endplate piece that links each of the elements has been elongated and curved outwards towards the wheel, whereas the previous endplate was shorter and straighter. Note that above this new addition you can see a drum-like opening. 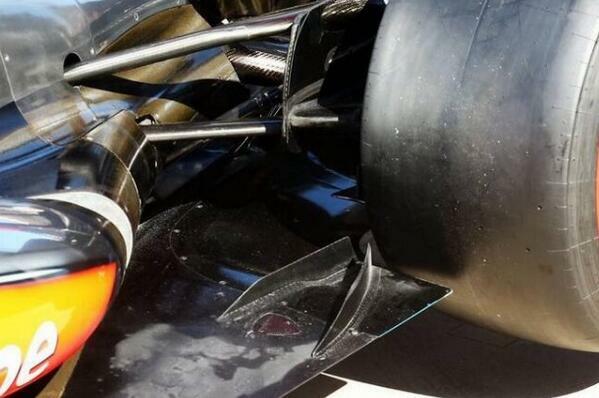 This is the hub assembly exhaust vent and it is a feature becoming more common in F1. 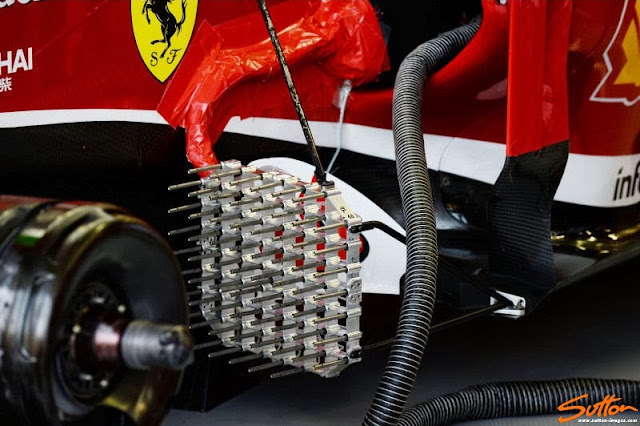 Instead of extracting the hot air inside the assembly out of the wheel face, this drum vents it outwards inside of the rear tyre. 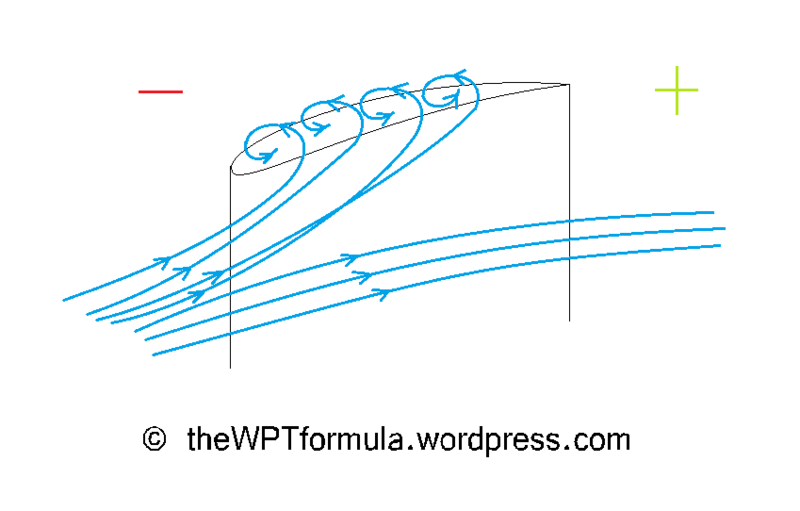 This reduces drag as it prevents the hot air interacting with the denser airflow passing around the rear tyres creating unwanted vortices. 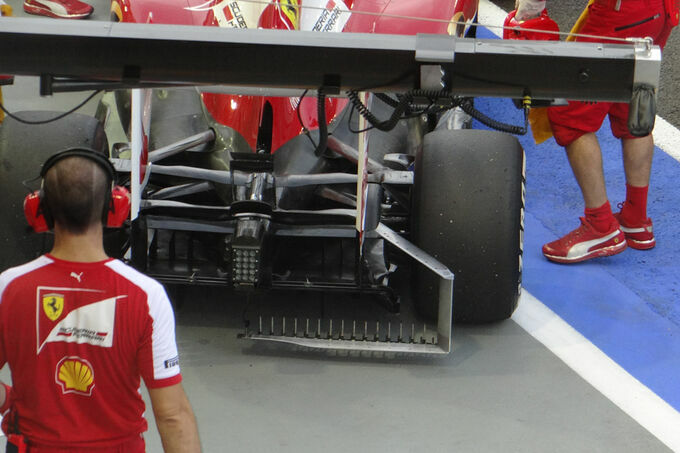 The Scuderia brought three front wings to India for this weekend. 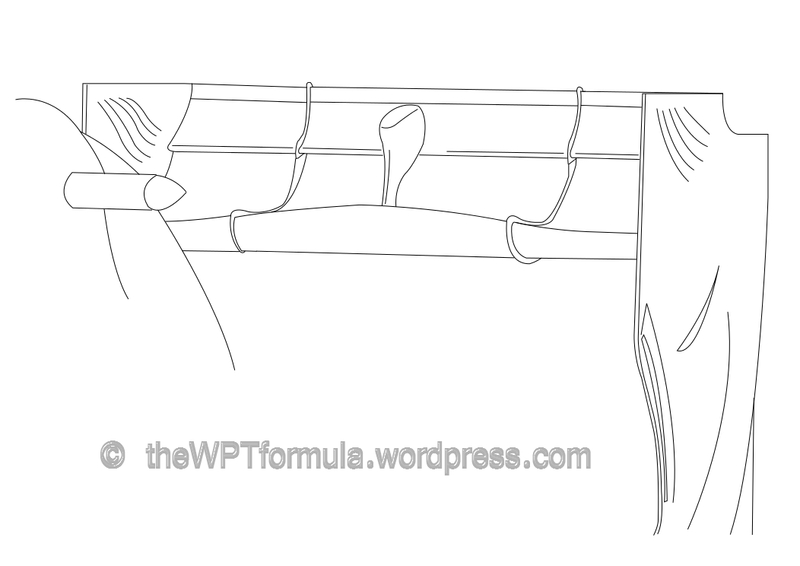 Interestingly, one of these wings was brought to Spa, featuring the rounded flaps and smaller length slot gaps. 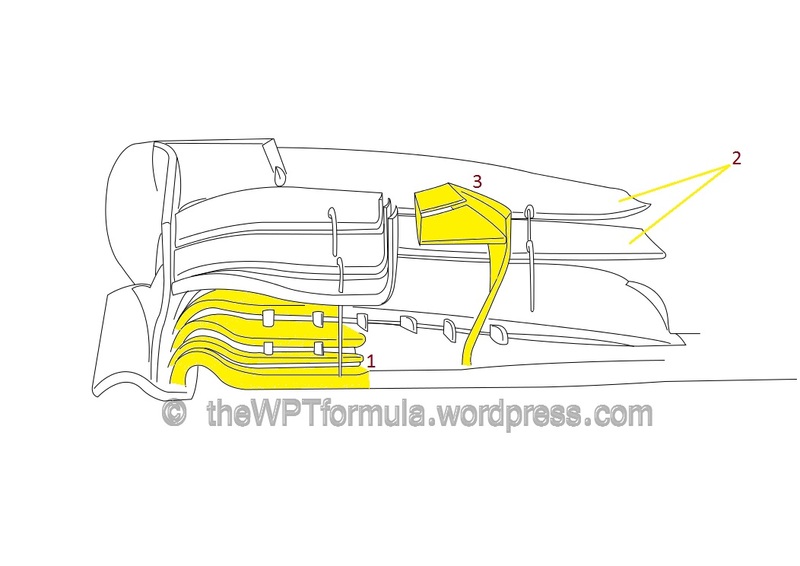 Another wing was the high downforce one introduced in Singapore and the final wing was a slightly modified version of this. You can see the small comparison between these two wings here. 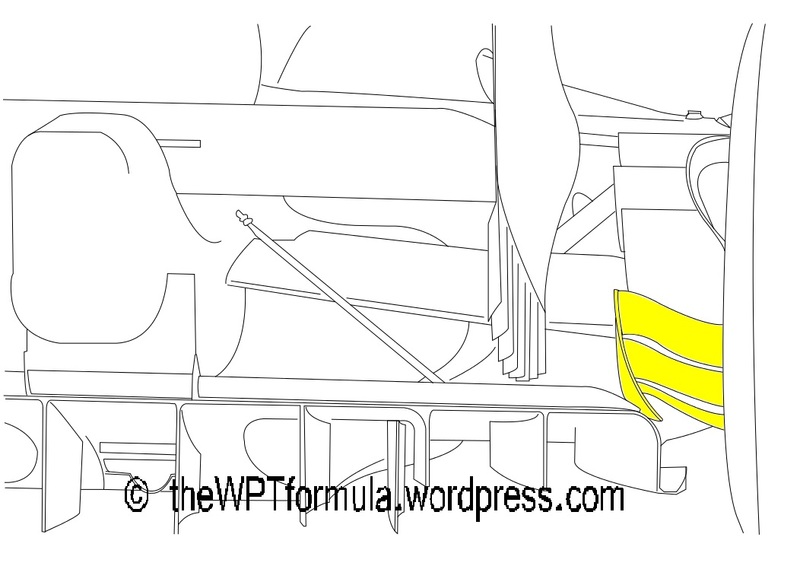 The slight increase and pointed flap size will redirect the airflow slightly, possibly to a more sensitive area of the front section of the floor to produce more downforce at the rear of the car. 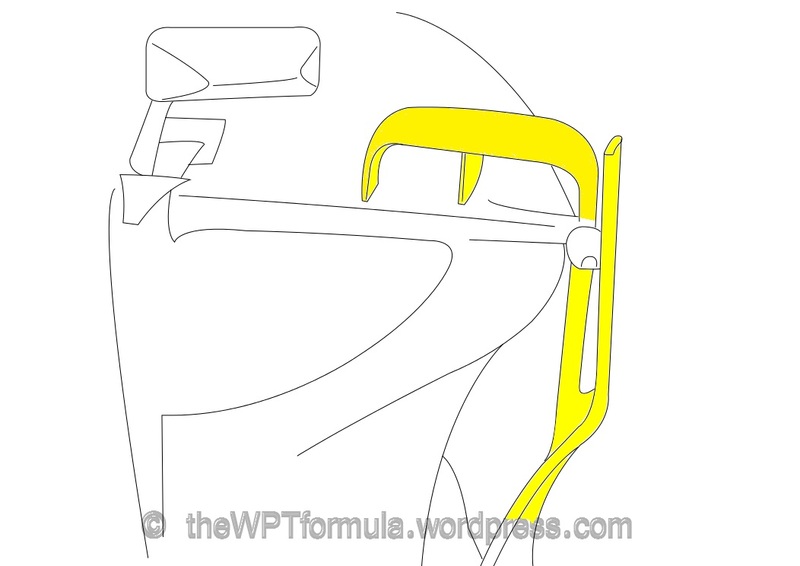 Jenson Button ran a very specific program on Friday morning with the Woking outfit describing the setup as “radical”. 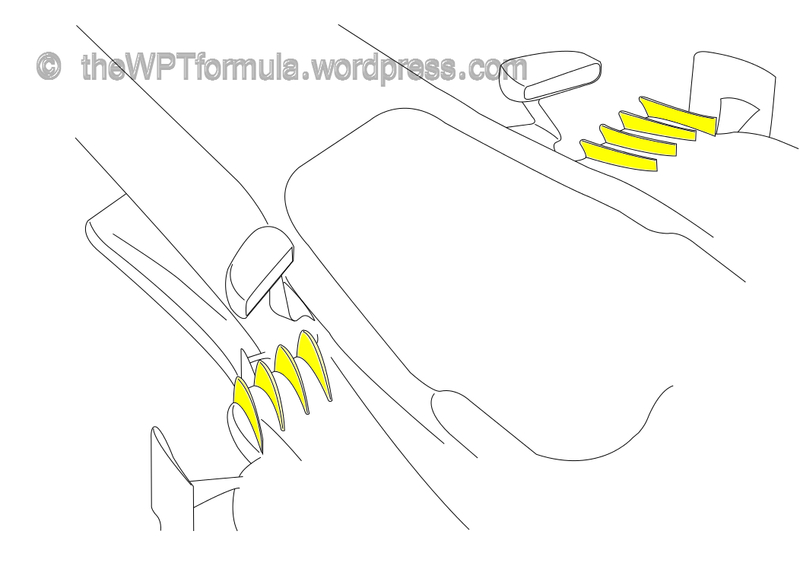 Visibly there was not much different on the MP4-28 but I would imagine that they were varying ride heights, dampers, spring rates, roll bars and wing levels. They decided to do this mainly to check that they hadn’t missed a trick with their troublesome chrome machine this year but there were also some 2014 development parts hidden within the setup. 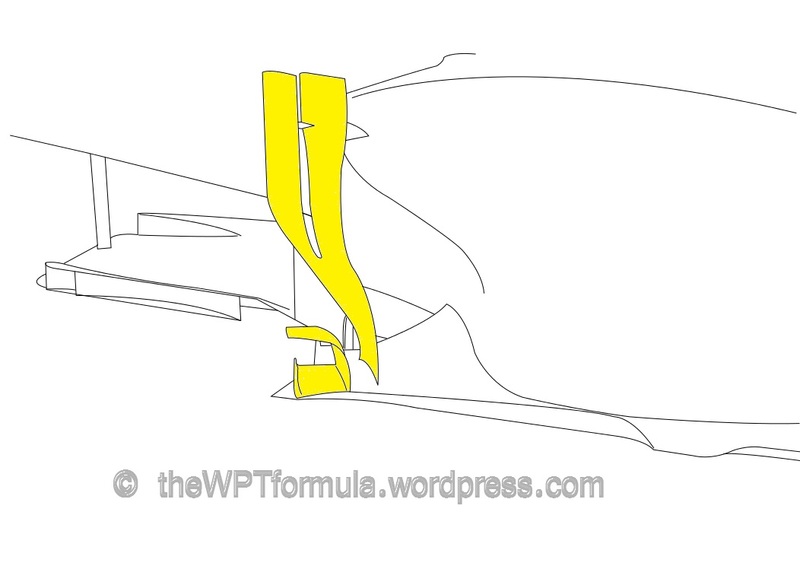 Along with the slightly lower downforce rear wing, the front wing was changed slightly for this event. 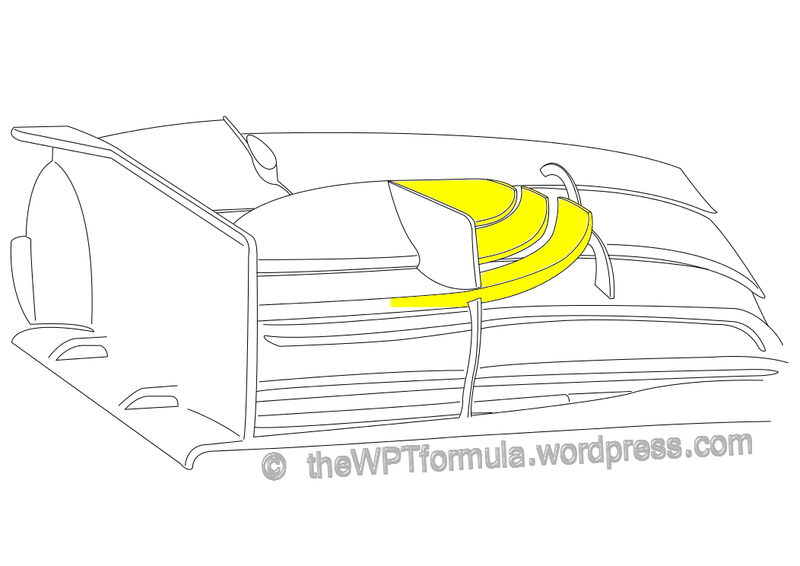 The camera pods have been relocated from between the wing pillar mounts to right at the top of the nose just before the suspension arms. 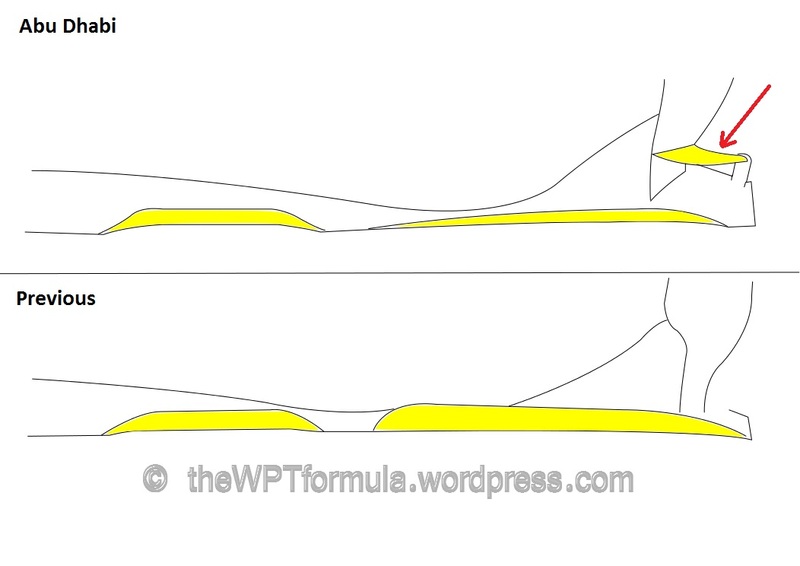 The new position is in a less aero sensitive region of the car so the front end will probably be producing a bit less downforce as a result. 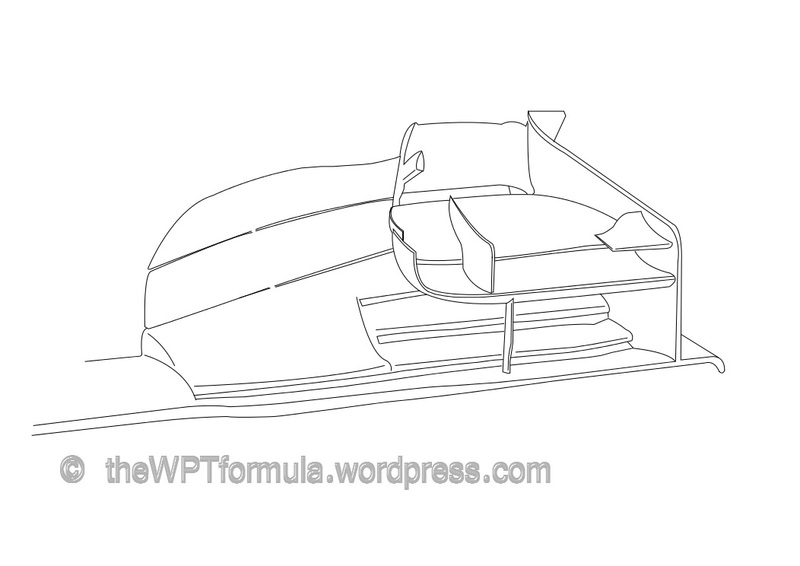 Perhaps this was to balance the front with the lower downforce rear or something they want to do for 2014. 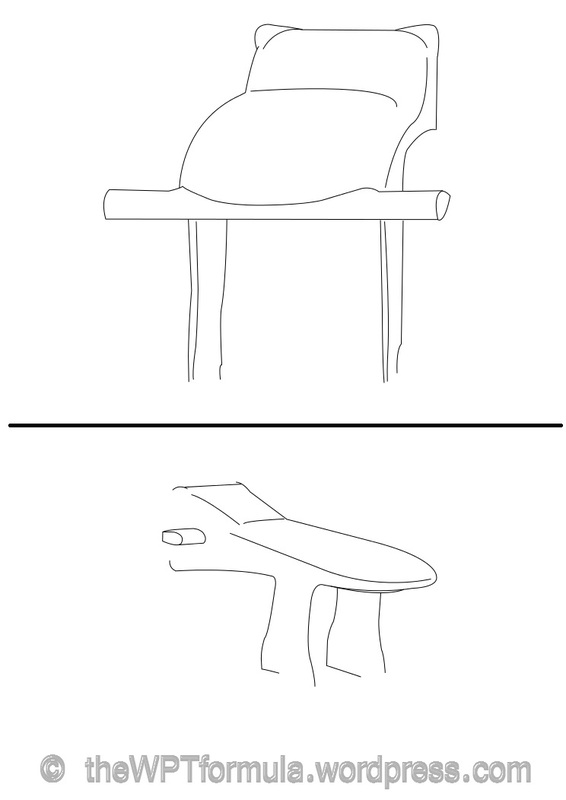 The new camera pod layout was coupled with the new wing they introduced in Korea. 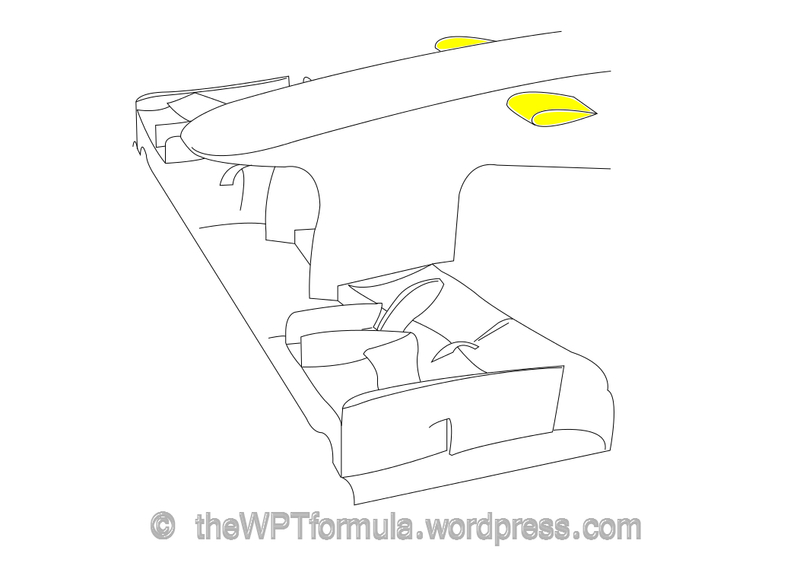 For qualifying and race, however, both drivers opted for the wing with the camera pods in their normal position. 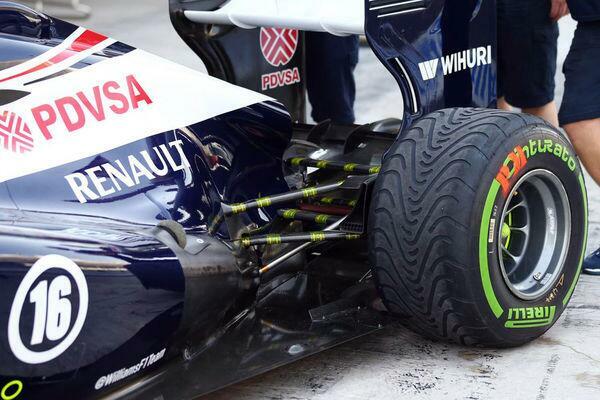 The FW35 featured this thermal imaging camera to analyse temperature across the surface of the front tyre. 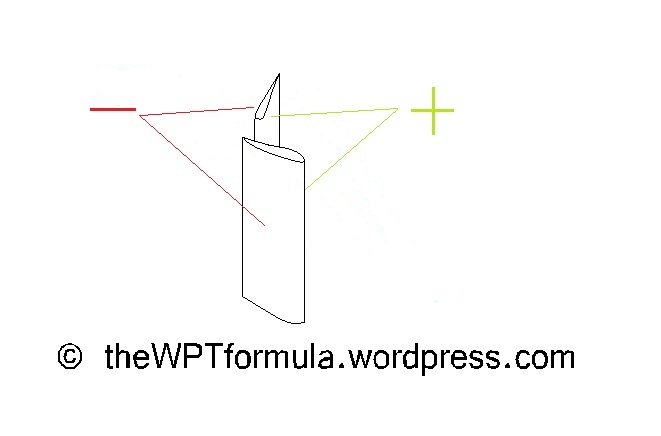 Unfortunately this is not an FOM camera so the footage can only be accessed the team engineers. 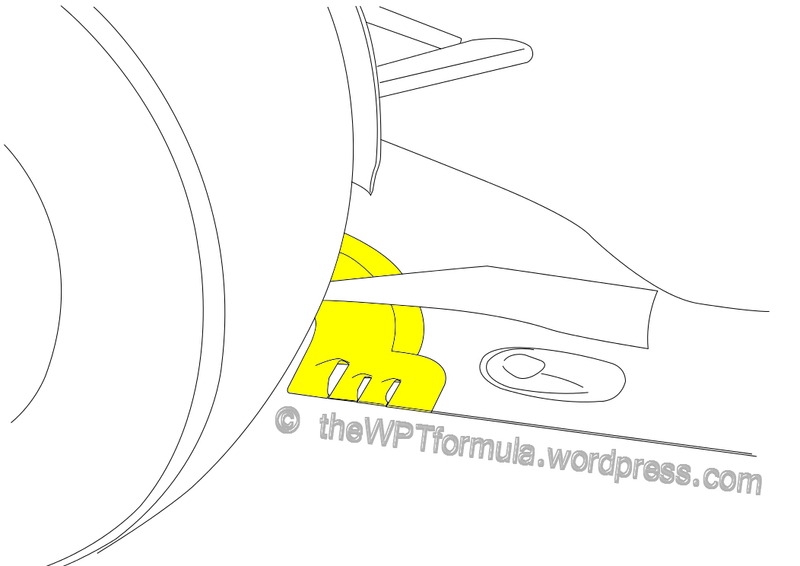 A conventional camera pod replaced it for qualifying and therefore the race. 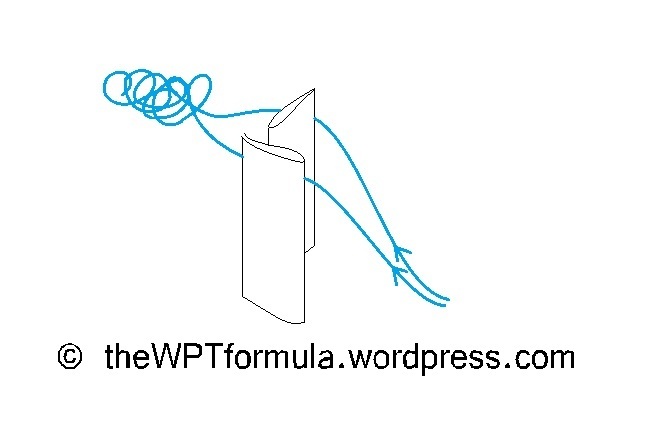 This entry was posted in 2013 Highlights, Technical Highlights and tagged 2013, f1, india, tech highlights, updates on October 26, 2013 by thewptformula.